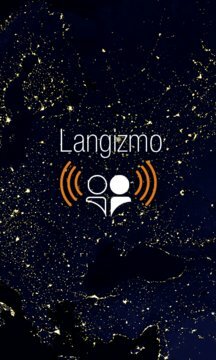 Langizmo is a highly usable speech-to-text AND text-to-speech translator that allows you to hold two-way conversations in foreign languages! -Speak or type in English, French, Italian, German, Spanish, Chinese, and Japanese! An amazing personal interpreter for travel, language students, or anyone living abroad. The Langizmo application is intended for recreational use only. It is not to be used for business deals, peace treaties, hostage negotiations, etc.